Hannes Bimböse (3rd from right in the picture above), Master Sports Business and Communication student at MBS, spent his semester abroad at Victoria University (VU) in Melbourne, Australia. Here, he talks about his experiences. 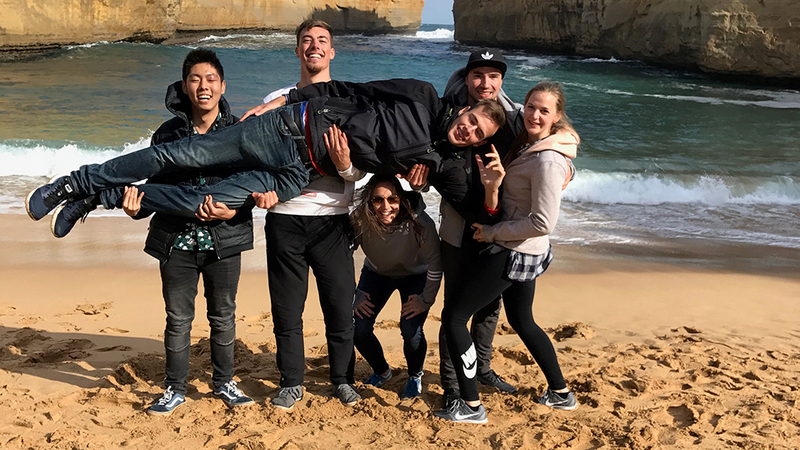 When I decided to do my semester abroad in Australia in July, I was attuned to the summer in Munich and thought of the warm Australian weather, many exotic animals, and swimming fun at the beach in Melbourne. I knew it would be winter in Melbourne and the really hot temperatures wouldn’t rise until late into the semester. However, I still was very surprised when I stood at the airport and the thermometer read 1 degree Celsius. Melbourne is the southernmost city in the world and I definitely felt the cold wind of the Antarctic. Nevertheless, for me as an SBC student, it was the perfect time to be in Melbourne. 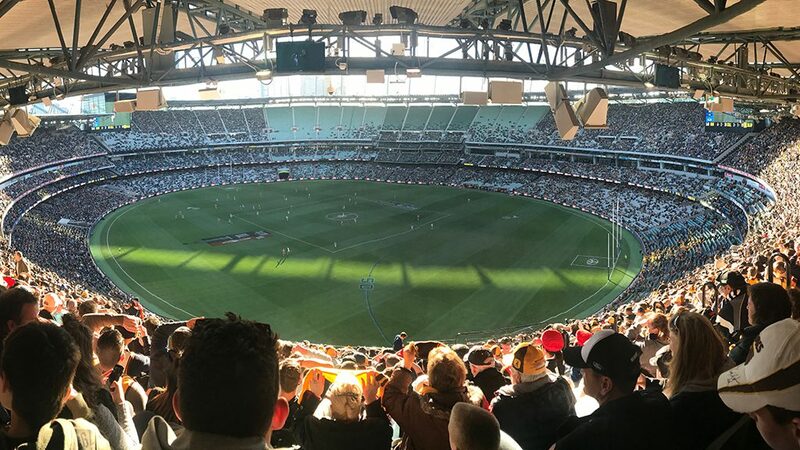 The last third of the Australian Rules Football Season was ongoing and I had the opportunity to get in touch with the number one sport the Australians love so much. 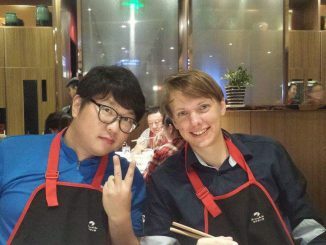 What was the most memorable event during your time abroad? 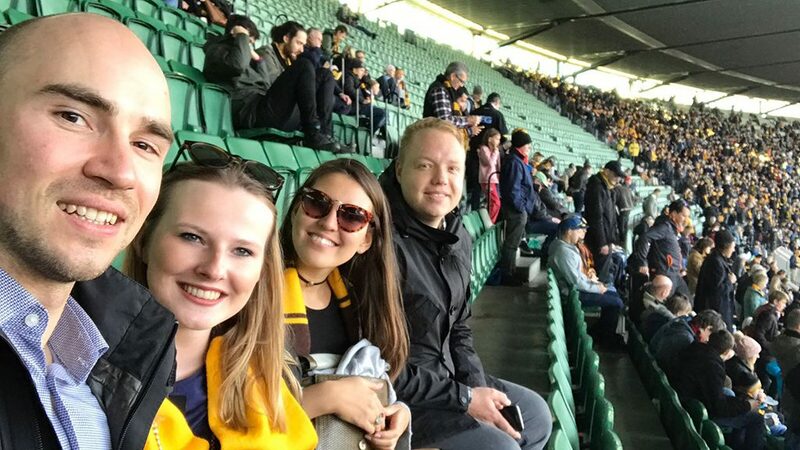 Hannes (left on the left picture) with fellow students, amongst them Master SBC student Pascal Sand (far right), inside the Melbourne Cricket Ground (MCG). But not just Footy attracts the Melbournians. 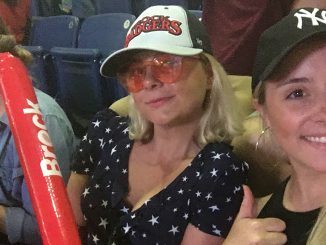 There are heaps of other sporting events the Australians cheer for. 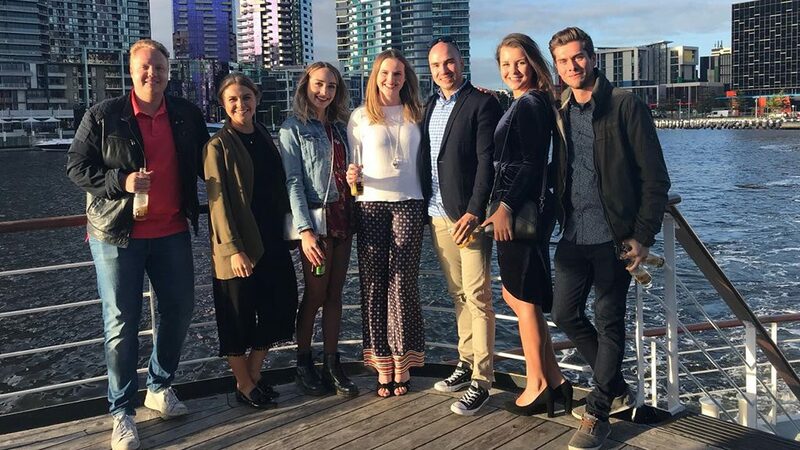 Not least the Melbournians set up a national holiday during the Melbourne horse race cup, the “race that stops the nation”, so that everybody has the chance to follow the races. 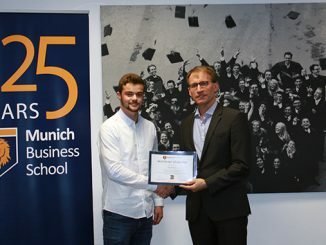 How were Melbourne and Victoria University similar or different to Munich and MBS? Melbourne is very international, feels very European, and is just huge with many individual suburbs. For instance, the CBD (Central Business District) in the city center is very modern with many skyscrapers; St. Kilda at the ocean has got a touch of American beach city flair; and Richmond, where I live, feels like a small town district. It is to say that Melbourne is much bigger and much more multifaceted compared to Munich. Victoria University has got many campuses that are widespread throughout whole Melbourne. I was very lucky to have all my classes at the City Flinders Campus, which is very central. Other students had to travel longer than an hour in one day to get from one campus to the other to catch their classes. My postgraduate units were very similar to the units at MBS. Each class was comprised of 15 to 20 students. Very interesting and different to my classes at MBS was the age difference of the students with a range between 21 and students in the age of over 60 years. The lectures were always a mix of front-of-class lectures, group works, and presentations. Sometimes, there were also online lectures at home, which was very good for traveling. Thus, it was possible to do one or the other class in a camper van somewhere at one of the beautiful beaches of Australia. What recommendations do you have for future MBS students? Firstly, it is of a great advantage to look for an accommodation after one’s arrival in Melbourne. Every suburb is different, and I can recommend taking a week or two to travel through the districts and figure out where you want to live. 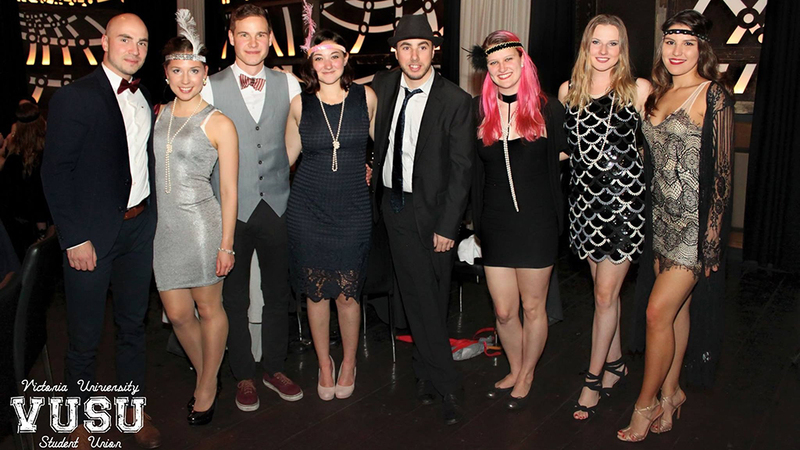 Hannes (left) at the 1920’s Great Gatsby Annual Ball, organized by the Victoria University Student Union. Secondly, future students should try to attend as many VU and Melbourne events as possible. It was very interesting to attend the “VU 1920’s Gatsby Ball”, which was like an American prom, and to watch the Melbourne horse races. And of course, you shouldn’t miss the Footy games! Hannes (w/ adidas basecap) with fellow students during the Victoria University Orientation Trip. Thirdly, I can recommend attending the semester start orientation trip. It is the best opportunity to meet all the other foreign students of the semester and to make the first friendships abroad. In addition, you should join some student organizations. VU offers a lot of activities and it is perfect to get to know new cultures and create an international network. If you decide to travel during spring break, try to plan and book your activities as soon as you can! Spring break is for everybody in whole Australia, including all universities and high schools. If you are too late, the good and affordable offers will be sold out very quickly. Finally, take care of the sun! The ozone layer in Australia is very thin, and even on cloudy winter days it is possible that you to get sunburnt. Australian students even have got a subject in high school that is only about how to protect yourself and your skin from sun. And of course, try to travel as much as you can. Australia offers some of the most beautiful places in the world. 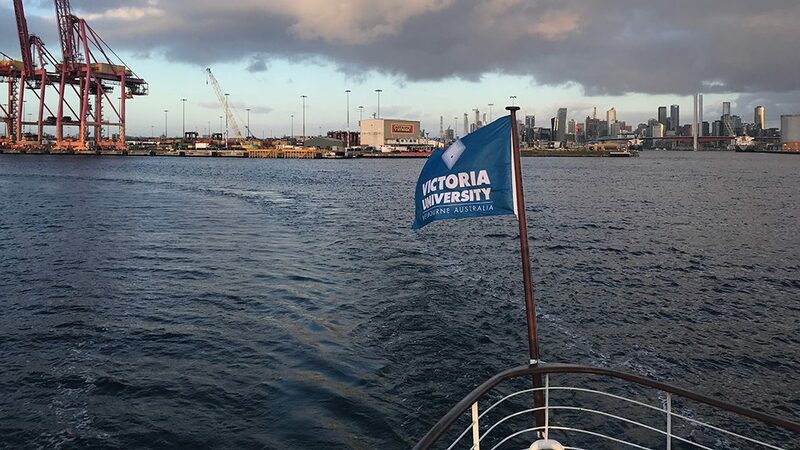 The official semester closing party – the Victoria University Farewell Cruise – takes place on a boat.